Should You Use a Credit Card to Finance Your Startup? Starting a new business is an exciting, yet scary time for any aspiring entrepreneur. Fraught with risk and uncertainty, it takes a very specific mindset to be able to cope with the all the ups and downs of running your own business. To be able to make a success of it is even rarer. We’re all familiar with the statistics – eight out ten new businesses fail within the first year. However, there are plenty of people that do achieve success – the important question is, do you happen to be one of them? Only you can really answer that question because only you know if you have the necessary drive and self-belief to be able to make that happen. What we can do though, is share with you some ‘insider-info’ that’ll help you get your first foot on the ladder to success. There’s an old saying, ‘you have to speculate to accumulate’, and this is particularly true in the world of business. You may have a dynamite idea for a startup, and a detailed business plan, but if you lack an adequate cash flow, your business isn’t even going to get off the ground. That’s why so many entrepreneurs choose to use credit cards to help fund them in the early stages of developing their business. Whilst some believe this to be a slightly risky strategy, the reality is that there is no element of business that is entirely without its risks. People take out loans every other day; they must in order to survive on a day-to-day basis. A mortgage, for example, is essentially a loan, as are the bank overdrafts that most of us use on a monthly basis. 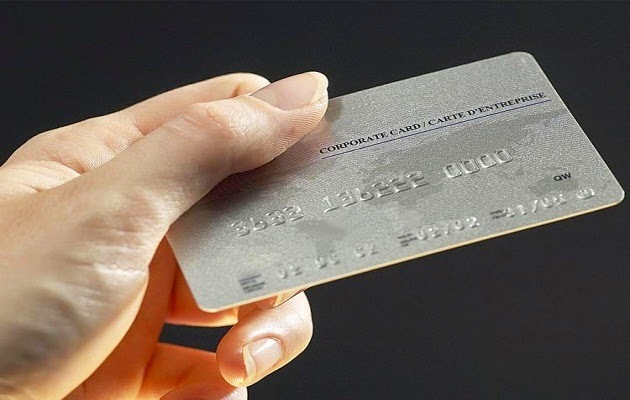 Credit cards are no different than any other loan you choose to take out. Provided you stick to the repayments, just as you would your mortgage, you’re unlikely to end up finding yourself in financial hot water. If you’re planning on going into business, the reality is that you have to learn to be financially responsible. So, treat having a credit card as you would any other loan. Afford the same level of respect to the credit card processing companies, as you would to your bank manager. If this is your first startup, or even if it’s your second or third, there are always going to be expenses that you didn’t anticipate. Also, considering that most new businesses make very little profit in their fledgling years, a credit card can help to bridge the financial gap. The last thing you want to do is take money out of the business itself because you’re going to need every cent that you can get. The reality is that managing debt is an essential skill for anyone who wants to find success as an entrepreneur. So, if the idea of owing people money fills you with a sense of dread, you may want to consider a different career path. The only way to achieve success in the cut-throat world of business is by being someone who’s prepared to take risks. The only real question is, are you able to be that person?